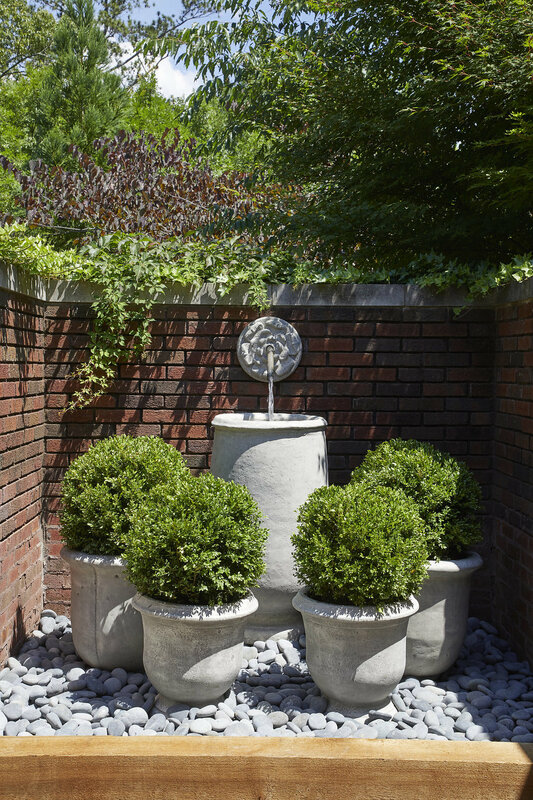 The Salisbury home is nestled within a beautiful community, but with such close neighbors, the residents were focused on finding solutions that created a greater sense of privacy. We relished the challenge of designing a logical flow between entertaining spaces that incorporated both man-made and natural privacy screens. 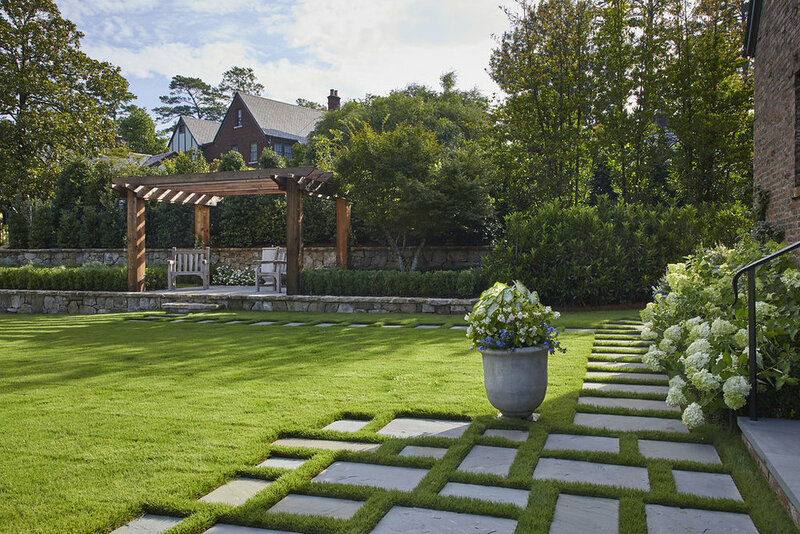 Tiered retaining walls border the fire pit and bocce ball court, which features a cedar pergola for spectators. We added decorative stone pavers to lead past the existing koi pond and down to the custom cascade pool. While both the pool and pond were already in existence, they were underutilized before the path was added. 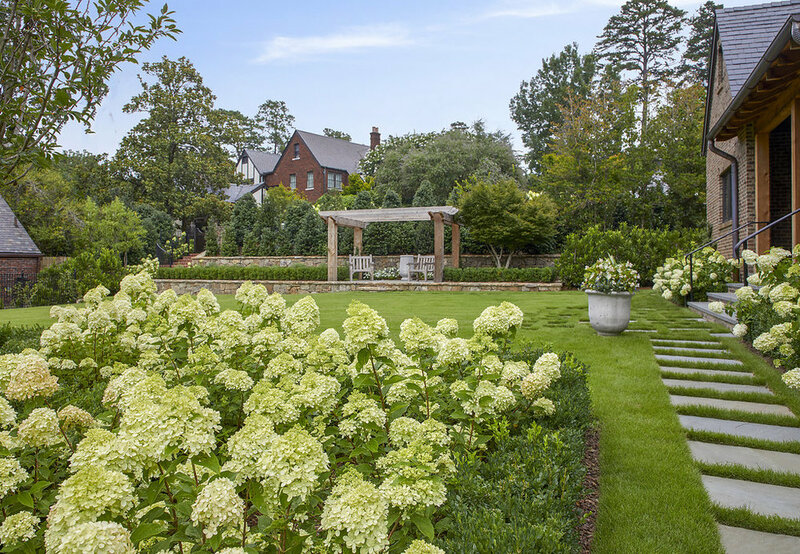 Limelight hydrangeas and vivid container gardens add bursts of summer colors to the landscape.